"IT'S QUICK AND EASY TO GET INVOLVED"
The Sports Pavilion is nearly complete, it just needs a final push. If you can help with donations of money, materials or time please let them know. Thank you. It with is with great sadness that we announce the death of Roy Stenning who sadly passed away on Saturday 27th April 2013 after a period of illness. Many Tributes are been paid to Roy, who was a "guiding light" (Chairman and President) behind the construction of our Sports Pavilion and helped raise thousands of pounds for this project. Alan Beechey, a friend of Roy who is the Project Manager of the scheme, told Burnham-On-Sea.com: "Roy was there from the start and offered himself from day one. He performed the role so well, raising thousands of pounds for the project, some of which came from the sale of his own home-made jams and pickles." "He was widely-known locally as a real community-spirited person and will be greatly missed." 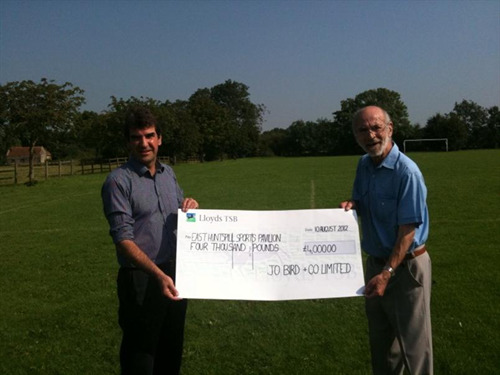 Pictured at the project's turf-cutting ceremony August 2012 , Roy recently stepped down from the Chairman's role due to ill health and was made honorary President to mark his strong involvement. While he won't be there to see the building completed, he will not be forgotten since its social room is to be called the 'Stenning Suite' in his memory. Another friend, Ian Davey, added: "Roy was a real guiding light behind the project and brought lots of knowledge and experience with him. 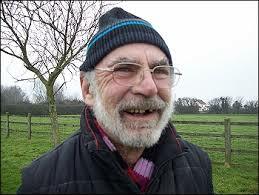 Everyone is really sad to hear he has passed away - he was a village icon." - which demonstrates the community wide backing this project has. 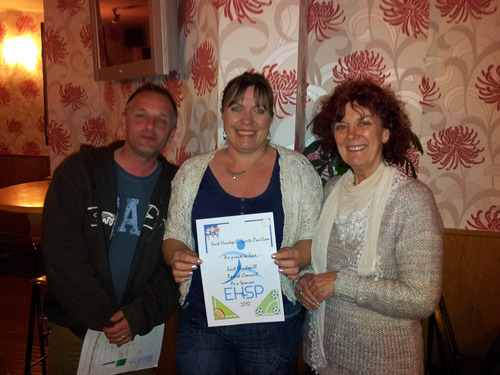 The project has received another boost to it's funds with a £2000 donation from Bason Bridge company Jo Bird & Co Ltd. Everyone involved with the project would like to thank the company for their generous donation. There has also been an addition of a Facebook page where you can keep up to date with all the news. click here to go to this page and use Friend Request. 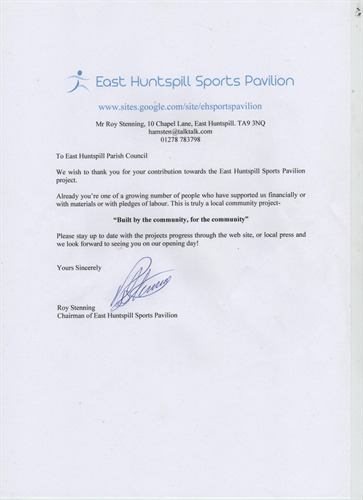 The East Huntspill Sports Pavilion committee is a wide age range of people from the village with the aim of providing East Huntspill with a single storey building on the New Road playing fields for use by all villagers, existing sports clubs, and organisations willing to provide holiday activities that use the playing field and also the School & playgroup for now and generations to come. Plans for a Pavilion have now been drawn up after listening to village sports teams and residents, incorporating two changing rooms, referees changing room, store room, disabled toilets, small meeting room and have received positive feedback throughout the village. The location of the pavilion would be just on the playing field to the left of the drop curb of the car park. The committee have begun the process of finding funding and have so far received around £4000 in donations & pledged money from village sports teams and business, with other sources of funding being approached. Also the committee would love this project to involve village residents, young and old, to help in any way, be it financial, practical or material to really make it feel a community project we can all be part of, and proud to see in use. When completed ownership of the Pavilion will pass to the Parish Council and be run on their behalf by a suitable Trust for the long term benefit of the community.